Tickets were $23 each, and included Dinner, Beverage, Dessert, tax and tip. Beer or wine was available at extra cost. There was a special raffle held after dinner with a lot of Fantastic Prizes. Raffle tickets were available at the dinner for $1 each. Our guest speaker, presented a program on Skywarn, and how radio hams play an important part with the National Weather Service. The club also held its 2007 board elections at the November general meeting. The annual club auction was held at our regular meeting time and place. Items are limited to radio and electronic equipment only. Registration began at 7:00 PM. There is no registration fee for buyers or sellers. Sellers are charged a percentage of the sales price for items sold. Many club members caravanned to San Diego, CA for the ARRL Southwestern ARRL convention. The September meeting speaker was Larry McDavid - W6FUB (a ham since 1956). Larry showed examples of PowerPole hardware, the various PowerPole crimp terminals, general crimping methods and a means of evaluating the reliability of crimp connections. Larry has many years of professional design experience in electrical interconnection by crimping, when he worked as engineering manager for Molex and TRW Automotive Electronics. Was held at QTH of Kristin-K6PEQ and Dan-N6PEQ. Bring your spouse and a food item. OCARC provided hamburgers and hot dogs. We hope you came and had fun! 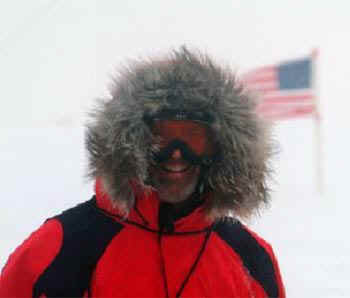 Bob Grimmick N6OX told about his experiences on the 3YØX DX-pedition to Peter One Island, located near Antarctica. It was a “cool” presentation! (Rescheduled from the April Meeting) Catherine Deaton, Director of the Los Angeles FCC Office gave an overview of the FCC's Enforcement Bureau, discussed office workload and priorities, how to file an appropriate Amateur complaint, updated the group on the Jack Gerritsen sentencing matter, told about hot cases they have handled in the LA Office and then opened up a Q&A session. FIELD DAY is a yearly held 24-hour simulated emergency communications drill. The 2006 OCARC Field Day was held at Los Alamitos Joint Forces Training Base (JFTB) in Los Alamitos (near 405-FWY and Valley View exit). Click for more details. The June meeting speaker was Bill Scholz W1HIJ (a member of the “HRO Gang” and also a member of the “Piña Colada Contest Club”) talking on the importance of the HF bands during emergencies. An often overlooked resource for emergency and disaster communications is the use of High Frequency channels. HF has the advantage of being easy to set up with some very simple antennas and further does not depend on any infrastructure such as repeaters. The presentation talked about how to plan an HF station, arrange for ‘networks’, and cope with some common misunderstandings. Larry described an elegant analemmic equatorial sundial located nearby in Claremont, California and discussed how this unusual sundial is built to tell accurate time. He described how sundials are designed and how the motion of the Earth affects sundial time. The scheduled presentation by the FCC Los Angeles Director was postponed until July due to illness. Instead a discussion of projects club members were working on was conducted along with a Q & A session. Approximately 220 running teams from law enforcement agencies nation-wide participated in this 120 mile relay race through the California and Nevada Desert. The race begins 18 miles north of Baker and proceeds north over Ibex Pass to Shoshone then on to Pahrump Nevada, up the mountains through Mountain springs and down to Las Vegas, ending at the Rio Resort and Casino. The race is broken up into 20 legs, varying in length from 4.8 to 7.1 miles. As radio amateurs, we provide coarse-wide communications with FM radios, packet radio and GPS/APRS displays. In 2006 many members of the Orange County Amateur Radio Club supported COAR and the City of Orange Police Department. Our March meeting speaker was Gordon West - WB6NOA. His GPS presentation centered on new mapping portable GPS equipment, live and in full touch, hooked into a Kenwood D7 for APRS and much more! Lots of fun demos of how GPS actually works with live recordings of early navigation systems. The February meeting speaker was Chip Margelli, K7JA. Field Day is the single biggest operating event in all of North America. It brings thousands upon thousands of Hams together for a weekend of trying out new antennas, new power sources, and new chili recipes. For several years now, Chip Margelli, K7JA and a group of friends have turned Field Day into a travel adventure, operating from Puerto Rico, Cuba, and the U.S. Virgin Islands. Come to the February 17th meeting to find out how their Piña Colada Contest Club has developed and perfected the “deployable Field Day“ concept! 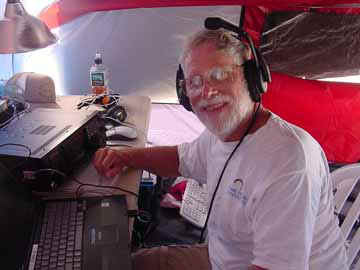 The January meeting speaker was N6HC, Arnold Shatz of the Southern California DX Club, who talked and presented a slide show on the Kure atoll DX-pedition late September into early October of 2005. 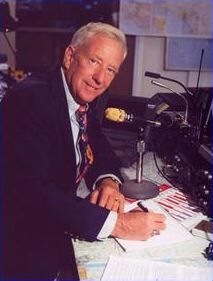 Arnie was one of twelve members of the team that put Kure on the air for the first time since 1997. He will recount the planning and implementation of this first-class expedition which included the inaugural use of the DXA internet program that allowed radio amateurs that contacted the expedition to see their confirmation within minutes of the contact. This presentation is a must experience for those who have never been on a DX-pedition. 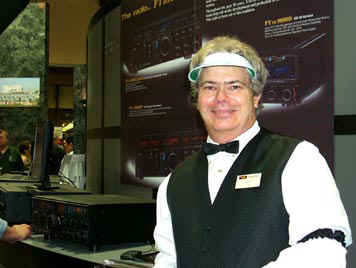 Get an insider's look at this radio amateur event. Jan 7th and Feb 4th. Mar 4th, Apr 8th*, May 6th, Jun 3rd, Jul 1st, Aug 5th, Sep 9th*, Oct 7th, Nov 4th and Dec 2nd. * Date changed due to a conflict on the first Saturday of the month: April 1st conflicted with the Baker-to-Vegas Race support; Sep 2nd conflicted with Labor Day weekend.